This is the LAST CHANCE for new students to register for Jazz Power Youth Masterclasses in 2019. Led by master teachers Eli Yamin (music) and Mickey Davidson (dance/theatre) and special guest, Catherine Russell, students ages 10-17 will be led through a voice and body warmup and will learn a song and movement. Students who successfully complete at least one Jazz Power Master Class are eligible to apply for a full scholarship for 12-week Jazz Power Youth training program which runs April through June. More information on JPI Youth Training here. This master class is free, but guardians must register their youth on the link below. Jazz Power Youth Master Classes are held from 4:30 pm to 7 pm in the United Palace, located on 4140 Broadway and 175th Street, near the A Train and GWB Terminal in Washington Heights, New York City. 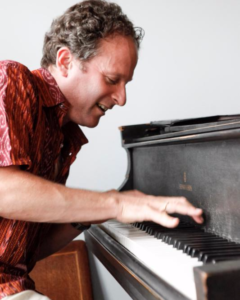 Artistic Director Eli Yamin is a pianist, composer, singer, and educator who has been spreading the joy of jazz through his work for 30 years including 10 years as founding director of Jazz at Lincoln Center’s Middle School Jazz Academy. Eli tours with his blues band and jazz quartet, has released several CD’s and has performed at The White House, Carnegie Hall, Lincoln Center and over 20 countries as a cultural ambassador for the U.S. Department of State. Eli sincerely believes learning about jazz should feel as creative as playing jazz and consistently shares this experience with students of all ages. Jazz Power Initiative is an uptown, New York City-based not for profit 501 (c) (3) organization whose mission is to ignite the power of jazz arts education to transform lives by fostering self-expression, leadership, collaboration and diversity. Jazz Power Initiative was originally founded as The Jazz Drama Program in 2003 by jazz musician/educator Eli Yamin and writer/educator Clifford Carlson. Since then, thousands of young people in New York City, across the US and around the world have made friends with jazz and in jazz through Jazz Power Initiative programs.